Effective Leadership skills are critical to today’s aspiring executives because they are often the difference between being effective or ineffective in management positions. Here’s why. In most organisations management are prepared to offer leadership roles to employees who consistently meet or exceed their job description role requirements, because increased responsibility and pay are one way for them to acknowledge and reward achievement and keep effective employees engaged and interested in their job. But sometimes things don’t go to plan when great performers in individual roles are promoted into leadership positions. In fact it’s not uncommon for highly effective employees to struggle when they step into leadership positions, because often times, the behaviours, attitudes and strategies that made them successful as employees, (for example being single minded, focused and self-centered) get in the way of successfully leading others. That’s because success in management is about engaging with and empowering others, and it’s also why leadership & executive coaching are so valued by the world’s top companies. 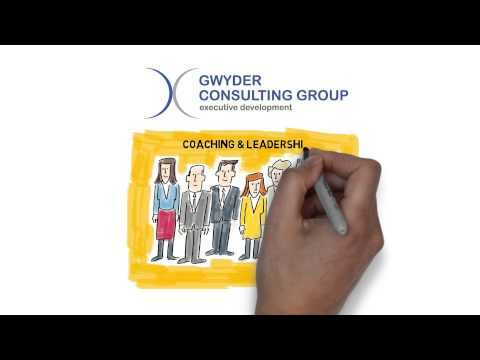 Seriously, there wouldn’t be a single senior executive in a Fortune 500 company who hasn’t done some form of executive leadership training, and at Gwyder, we specialise in a very powerful form of leadership coaching called behavioural coaching. Behavioural coaching focuses on teaching leaders how to engage, inspire and empower others, and over 100 of the current Fortune 500 companies used and apply the Marshal Goldsmith Stakeholder Centered Leadership Development Framework that we use here at Gwyder, which is arguably the most effective behavioural coaching methodology in the world. If you are interested in finding out more about how this leading behavioural coaching methodology can make you a more effective leader, we invite you to download our free whitepapers “The Secrets of Effective Leadership”. In it we explain the difference between behavioural coaching and other leadership coaching styles, and we share a few simple behavioural coaching exercises that can be used to increase your effectiveness in working with people both above and under you. There are two versions of the report, one for emerging or aspiring leaders, and one for senior executives and entrepreneurs. You can download our free reports here.